My life adventures, exploits, and loves. 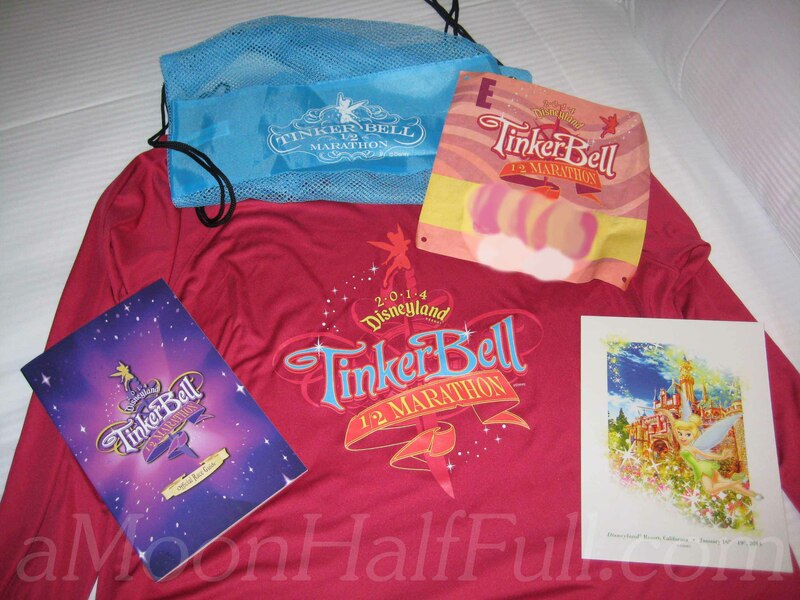 I had been looking forward to running the Tinkerbell Half Marathon at Disneyland since its inaugural year in 2012. Things didn’t really work out until this year. The first year I was pregnant and the second year I figured I would be way too tired from having an infant, to train well enough so I didn’t sign up. I was right by the way, way too tired. 2014 was going to be my year. 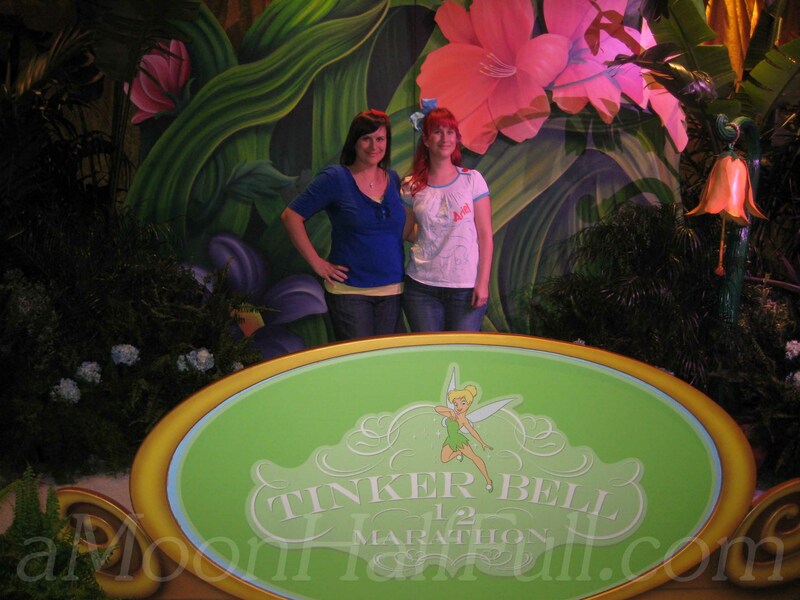 As soon as registration opened, my sister/ running partner, FiFi, and I signed up. It is a good thing because this race sold out fast. Immediately we started planning our costumes. FiFi LOVES Ariel so that was a natural choice. 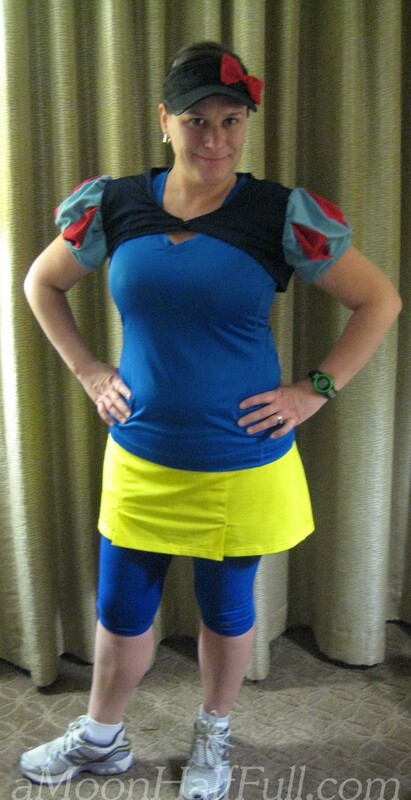 I went with Snow White. Of course, you can’t just show up in costume and expect to have a good time. You have to train. We decided to follow the Jeff Galloway training program. His run-walk-run method really works, especially if you aren’t up to running 13.1 miles straight. The run-walk-run method gives you a solid plan and helps you maintain energy until the end. Speaking of training, we were really diligent about getting our runs in. It helped that the weather has been beautiful and we were only rained out once, missing only one long run. Being felines at heart, we aren’t ones to run 11 miles in the rain unless absolutely necessary. Come race day, we felt prepared and were super excited. We arrived in Anaheim around noon on Saturday. We stayed at the Hilton near the convention center, about a 15 minute walk to the Disneyland Hotel where the race expo is held. Picking up our bibs and shirts and goodie bags was easy. 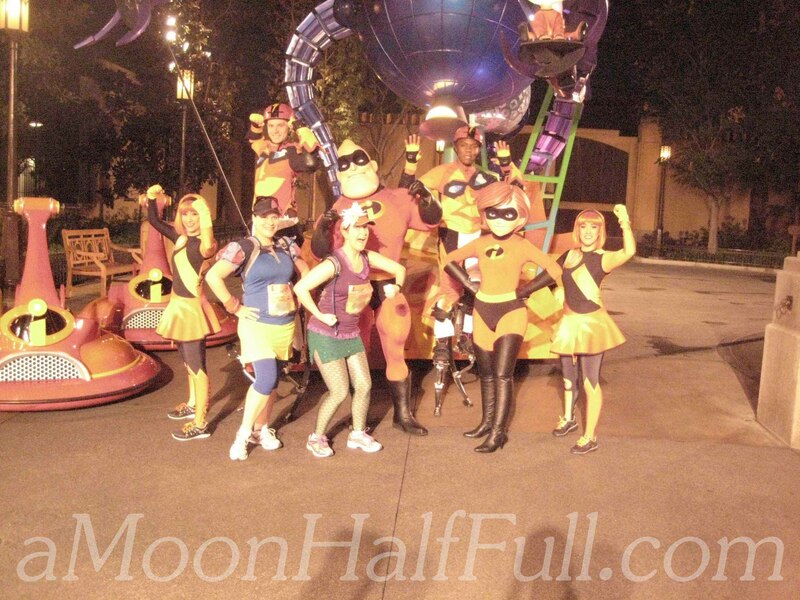 This was my 3rd runDisney race and they are always really well organized, a finely oiled machine. The expo had the typical stuff, lots of apparel and running gear as well as nutrition bar samples and gels for sale. It turns out that if you are really interested in purchasing the official race merchandise, you need to get there first thing in the morning. It sells out quickly. There seems to be an issue with scalpers coming in to buy arms full of merchandise to sell on ebay for inflated prices. This is a real bone of contention with the race participants and rightfully so. 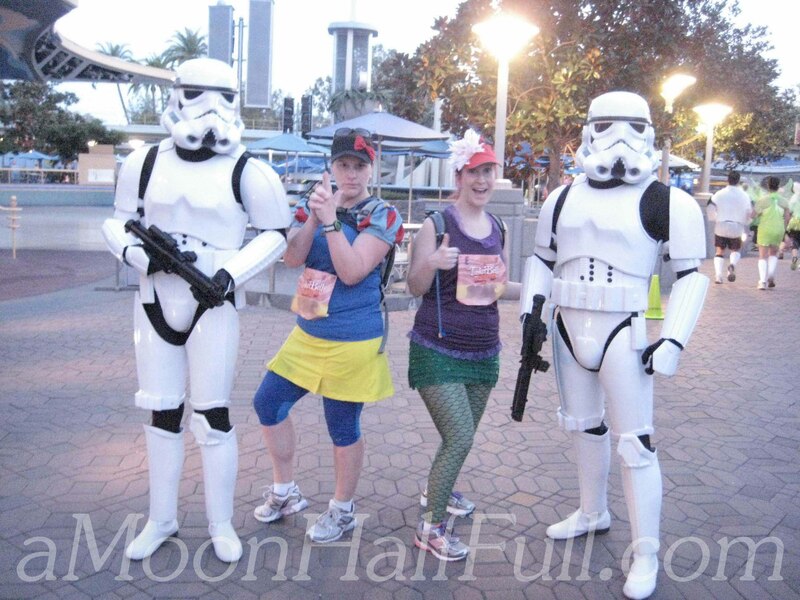 I hope runDisney addresses this issue in the near future. Luckily, FiFi and I aren’t interested in purchasing stuff and are there for that beautiful medal and the experience. One thing I love about the Disney expos is they have presenters giving talks or mini clinics. We were able to see Jeff Galloway speak about his run-walk-run method. He uses it himself and was even able to qualify for Boston recently following that strategy. He is really a lovely and encouraging man who has a passion for seeing people find success according to their own ability. The race was set to start at 5am, we set our alarm for 2:50am. The night before we prepped our costumes, morning coffee, and made our breakfast, peanut butter and jelly sandwiches. I always sleep poorly in new places especially the first night. This night was no different. Being a mom, I guess I am used to sleep deprivation. Our morning went smoothly and we left for the race start around 3:30. We were on foot and arrived within 15 minutes of leaving the hotel. 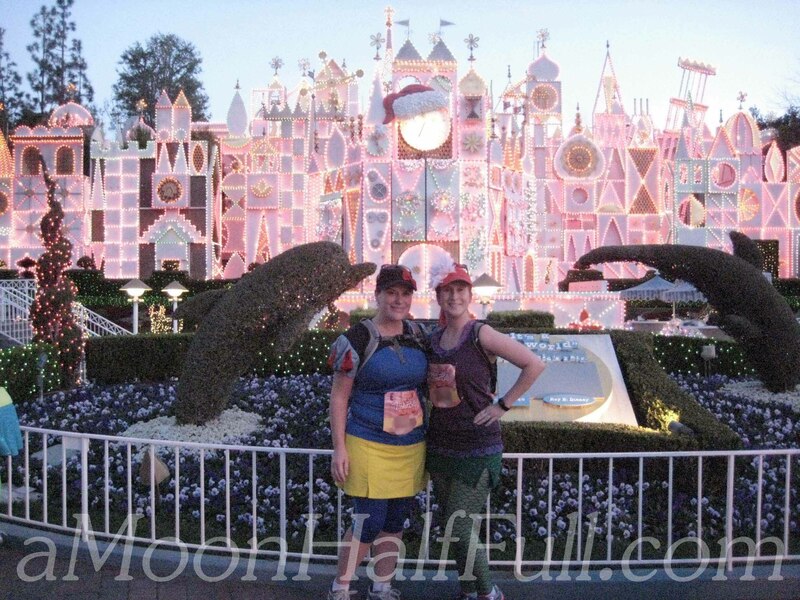 We took advantage of the relatively short lines for the potties and then checked our gear. As with everything, runDisney has this process down and we were able to check our bags in less than 1 minute. We then hung out a bit in the “reunion” area where they had a D.J. playing music and photographers taking pre-race pictures. I was wearing a long-sleeved shirt and sweatpants over my costume and I was nice and toasty. The weather was really mild anyway not as cold as I had feared it would be. My iPhone app said it was 46 degrees. I probably could have lived without the extra clothes but couldn’t think of a good reason to be even the slightest bit uncomfortable. After another pottie stop, we headed to our corral. We were assigned corral E. We ended up in the middle of that pack. I do have one complaint. Being so far back from the start line, we couldn’t hear the announcers. If the National Anthem was performed, I have no idea as I couldn’t hear anything. Some amplification set up for the last corrals would be a huge improvement so that even the last person could feel included from the very start of the race. Once the race started at 5:00, it took us about 25 minute to cross the start line. Corral E was so crowded that there was no running or people passing for the first 1/4 mile or so. I was starting to panic that we might not be able to keep pace. 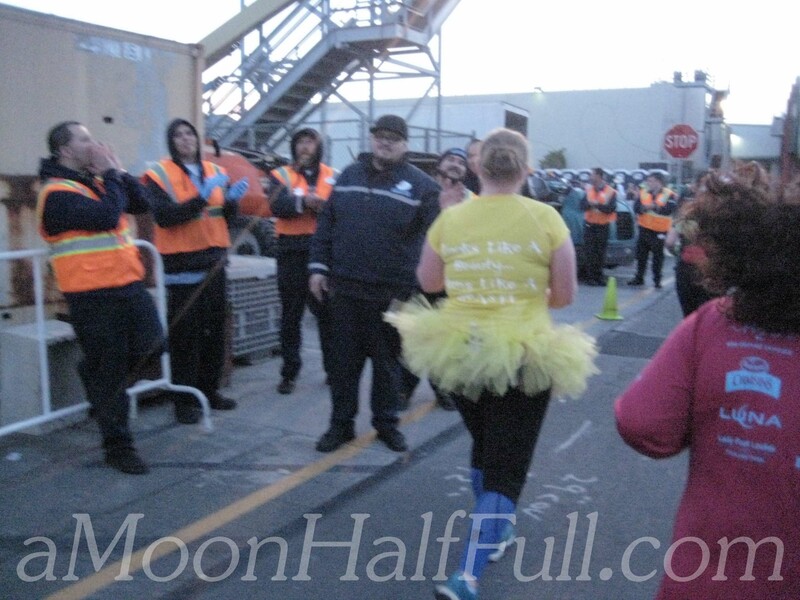 Finally, we were able to start passing people and the crowd loosened up a bit. We made it to the 1 mile marker in about 13 minutes, we normally average a 12 minute mile, so that wasn’t too bad. After mile 1, we headed into the parks, starting with California Adventure. 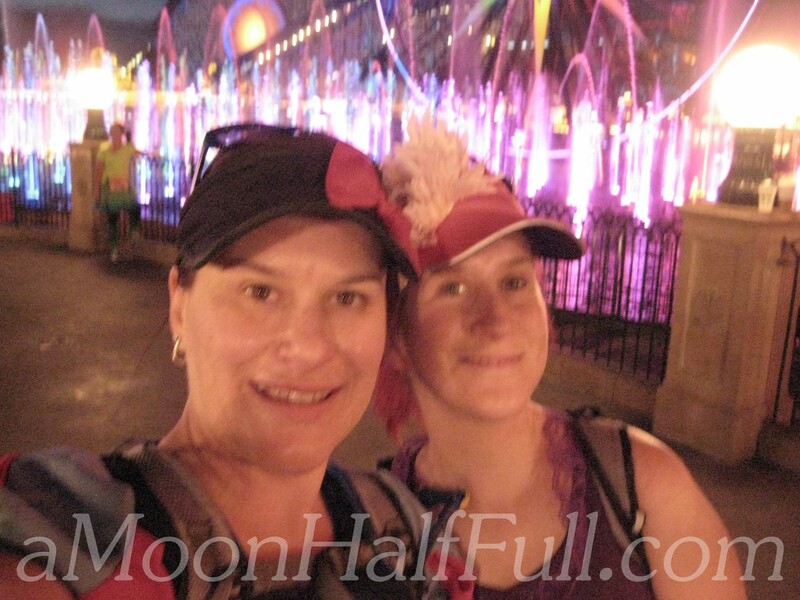 We made a bathroom stop first thing and then were able to relax and enjoy the time in the parks. 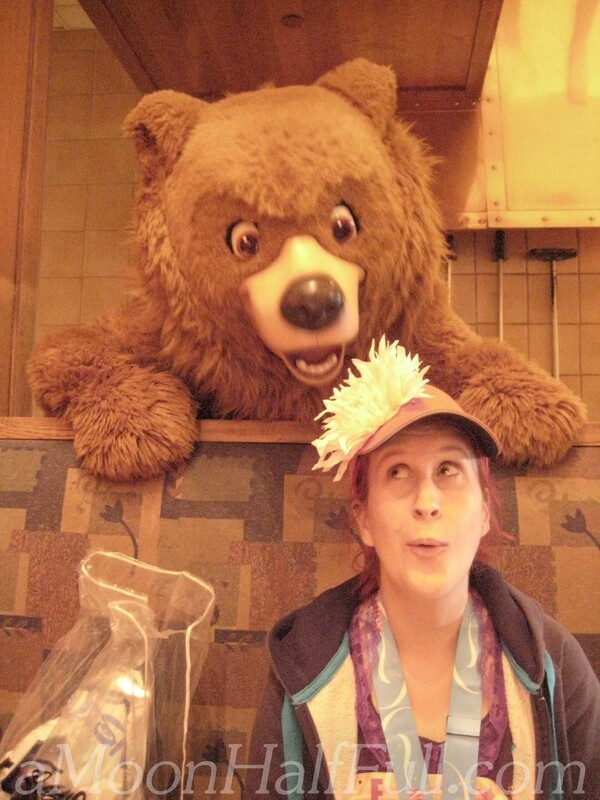 I loved everything about DCA. I hadn’t seen the new Cars Land and was more than impressed with it. In the dark, all lit up it was serene and beautiful. At one point I looked up in the sky and saw the bright moon and was thrilled to be there at that moment. 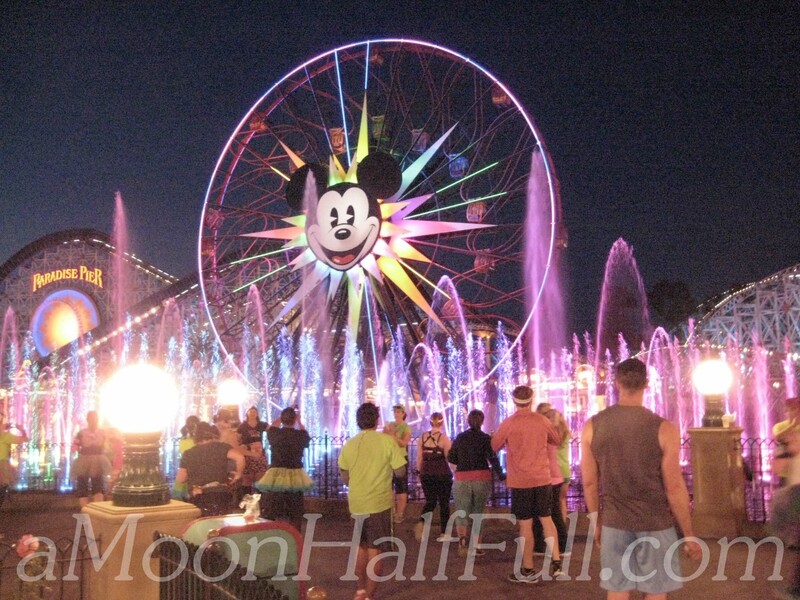 Another highlight in DCA was the World of Color fountains and lights. Just beautiful and I wished I had a really good camera that could get low light shots with me but I just had a point and shoot. 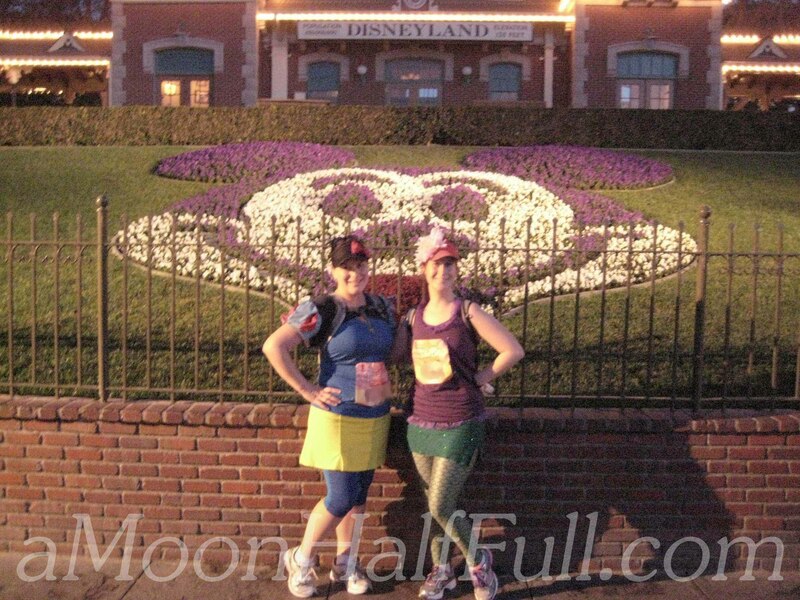 By mile 3, we were heading out of this park and on to Disneyland. The sun was just starting to come up. At this point, we realized we were about 3 minutes per mile behind pace and decided to be selective about our photo stops if there was any line waiting required, which was most of them. Some highlights from Disneyland were, running down Main Street, at dusk towards the castle all lit up is as anyone could imagine, thrilling. Also, while I loved running in the park, I found the back stage spots to be exciting. We saw the train sheds and the stables where the horses are kept. Super cool. I love being able to see the custodial/maintenance staff, who come out to cheer for us. They are the back bones of the park and it is nice to be able to give them some love as well. A little after the 5 mile marker we were heading out of Disneyland and into Downtown Disney towards the streets of Anaheim. I put my camera away but wish I hadn’t. Right near the Disneyland Hotel were the Red Hat Ladies. There were at least a few hundred of them, all cheering us on. I have to say it was one of the points where I teared up along the route. Once on the streets of Anaheim, I had a serious energy let down. I had been so distracted and elated in the Disney parks that I had lost track of the fact that I was doing a distance race. 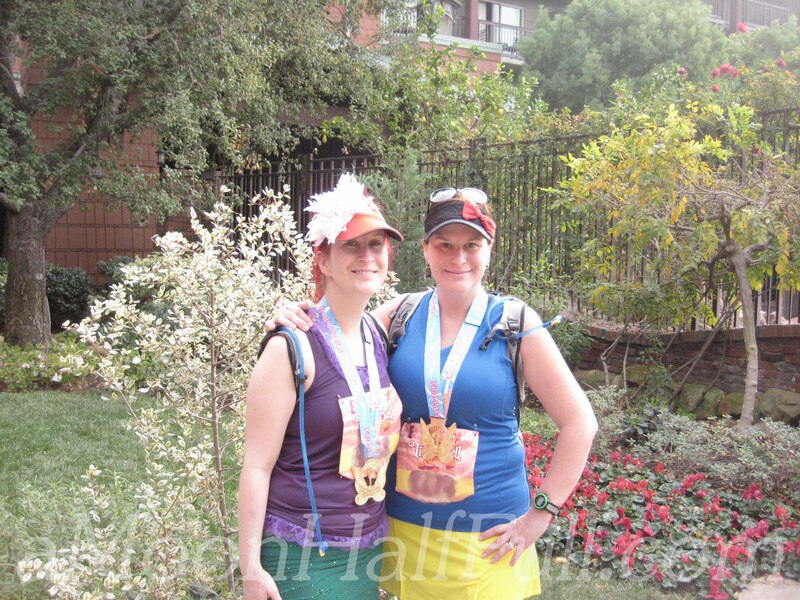 It was a serious mental adjustment to focus on racing the remaining 8 miles. The highlights from this portion were the craftsman bungalows and the older mid-century architecture styles. Some of the neighbors came out to watch us. I noticed one group was drinking mimosas. I got a kick out of that. There were also groups of cheerleaders that came out to cheer us on as well as several high school marching bands. I must say I love the bands the most. Band kids are the most enthusiastic bunch. Around mile 10 I was seriously questioning my sanity in signing up for such a race, as you tend to do at that point in a half. We were able to get through each remaining mile by focusing on our 2min:1min intervals. I was happy to see that finish line. Mickey, Minnie, Donald and Daisy were all there to greet us as we crossed. The medal was as beautiful as promised. After we picked up our medals we were given a box of snacks and a banana. 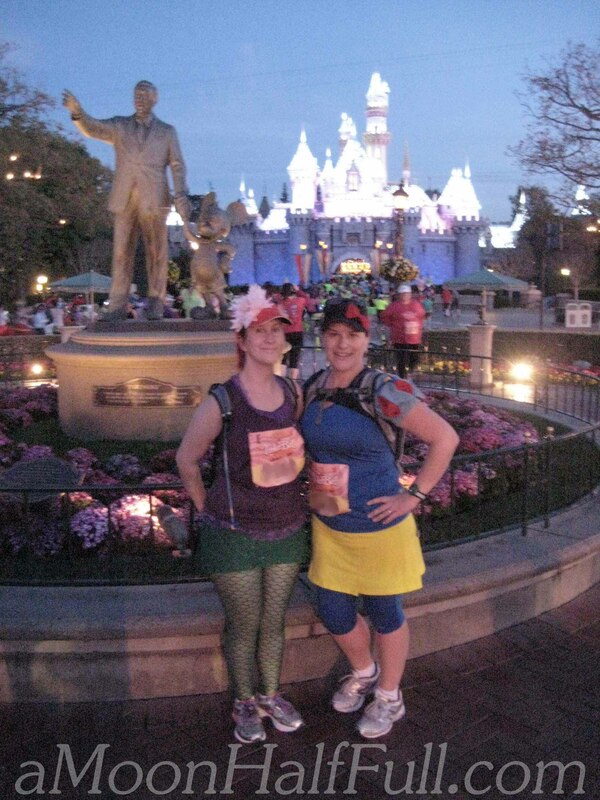 I love the Disney races but I don’t think I would do another half at Disneyland anytime soon. 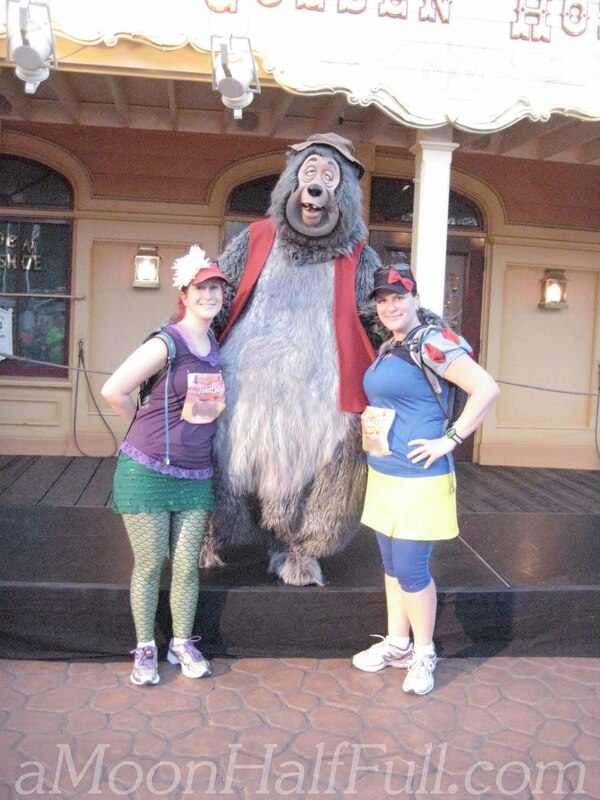 I love the running in the parks and the magical feeling, but I don’t care for the street portion. 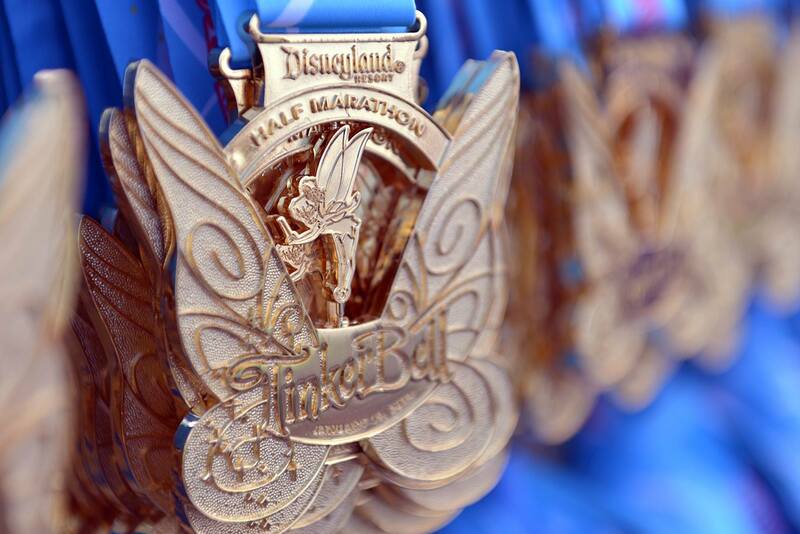 If I do a half, I want a chance to PR and I don’t see that happening for me in a Disney half. 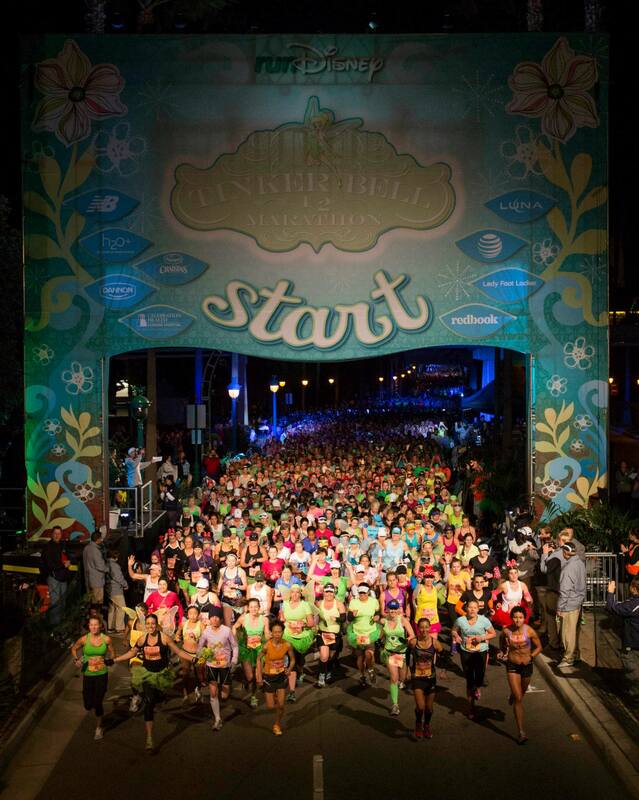 The corrals are too crowded, trying to pass slower racers is a major energy drain in such crowded situations. Let’s not forget about the picture opportunities, they are too fun to pass up. 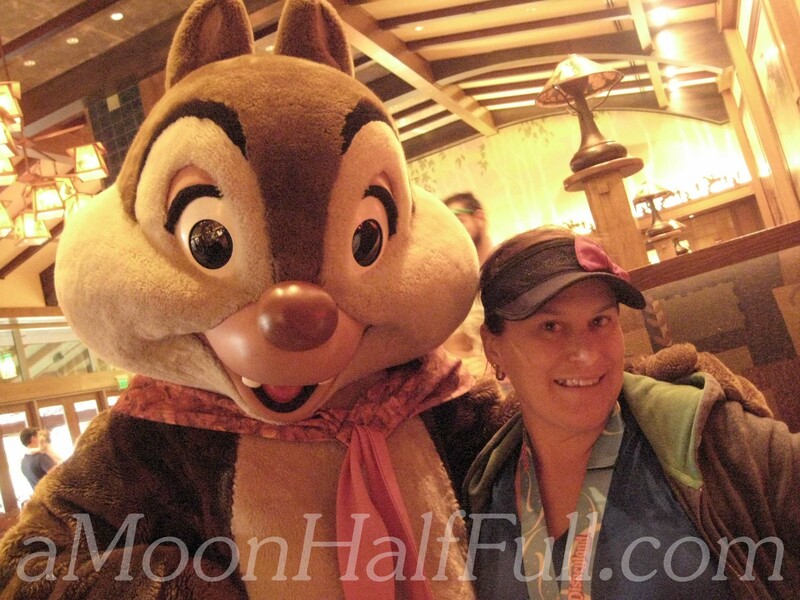 I think I will just try a runDisney 10k. More Disney bang for your buck, mostly all in the parks, the parts I love. Our official time was 3:20:04. Our last long run before the race we did 12.33 miles in 2:35.58, which was a pretty consistent pace for our trainings. You can see how much time passing other participants and stopping for photos adds up. Also, I didn’t realize how much distance zig-zagging around the course passing others adds to mileage. Our running app calculated we did 15.31 miles. About .25 of that is the distance from our corral to the start line, the rest is in race distance. Goodness, I learn something every race. I may have had another break through in this race. I like to run with my Camelbak so that I have access to water when I need it. I’m actually a little afraid not to have it. I realized that I could probably run a race without it as I mostly drank water and PowerAde that was provided on course. I just need to get brave enough to do it. Live on the edge. Nice job in your race! It looks like it was a whole lot of fun! What a great experience. . . love both my daughters.